Microsoft has been working hard at improving the user experience of the Surface Pen. This includes adding new pen-optimised features like Web Notes in the Microsoft Edge browser. They are set to further improve the digital pen experience with the introduction of Windows Ink in the upcoming Anniversary Update to Windows 10. In this video, Andres Sirel, Windows & Devices Business Group Lead at Microsoft Malaysia, demonstrates the Windows Ink capabilities that will be introduced in the Anniversary Update to Windows 10. Then we will take a closer look at the Windows Ink features below. Windows Ink Workspace collates all of the ink-powered features and apps in an easy to access UX canvas. 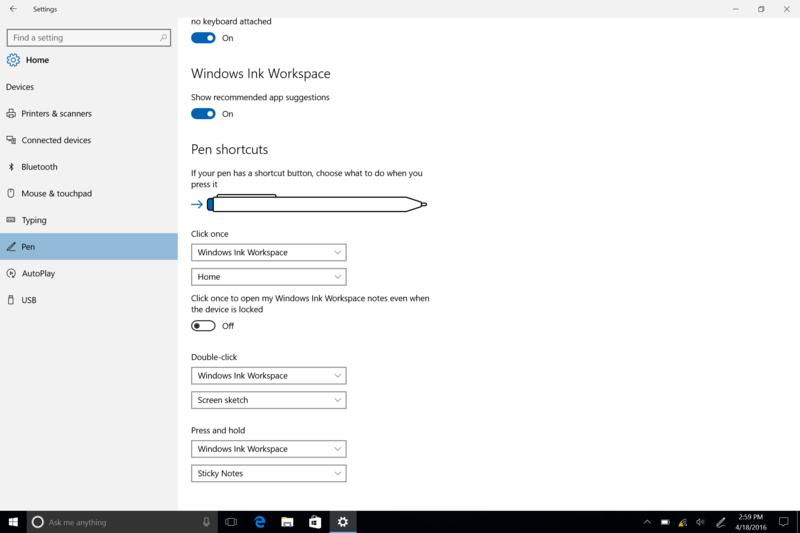 Just press the Windows Ink Workspace button in the system tray, or click the back of the pen, to launch it! The Windows Ink Sketchpad gives you a simple blank canvas to quickly and easily draw an idea, solve problems with your digital pen or just doodle. Best of all, it comes with a digital ruler that lets you draw perfect straight lines, just like using a real pen and ruler! Screen Sketch lets you take a screenshot and then draw on it with your Surface Pen. You can circle important facts, annotate your comments or doodle on the screenshot before you share it out. 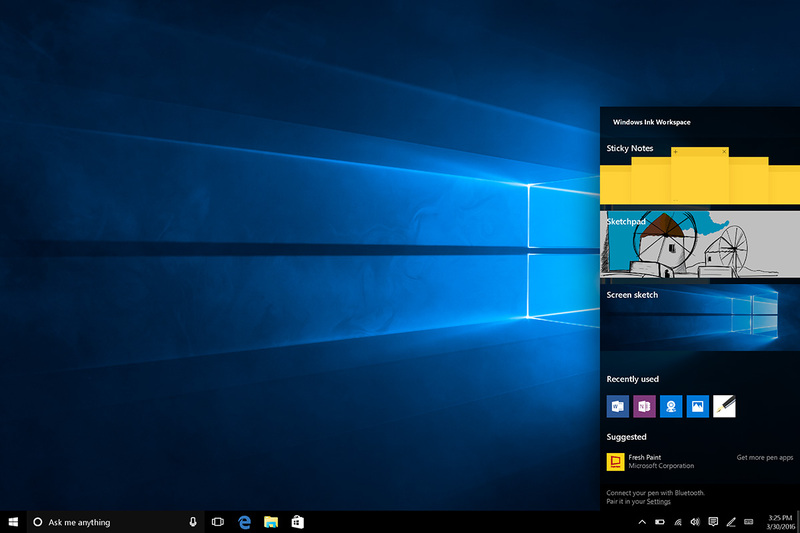 The Anniversary Update to Windows 10 will include an improved Sticky Notes. You will have the ability to create Cortana reminders, including smart entity extraction using Bing. For example, if you write down a flight number, it will use Bing to automatically fetch you the flight status. Microsoft will also introduce new digital pen customisation options in the Anniversary Update to Windows 10. Just go to Settings > Devices > Pen to personalise your digital pen experience!